The Asylum is a 600-capacity purpose-built music venue, which is around a ten minute walk from Snow Hill station. 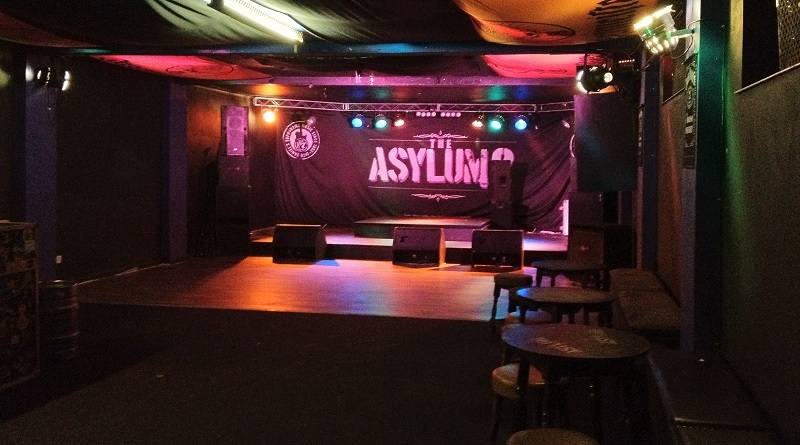 Specialising in the heavier and alternative sides of the musical spectrum, The Asylum has hosted a range of acts including Funeral for a Friend, Trivium and The Automatic. It is also home of Birmingham’s Uprawr club night every Saturday. Asylum 1 on the ground floor has full disabled access and toilets and staff are happy to assist patrons accessing Asylum 2 via stairs. Cloakroom services are available (£1 per item) and snacks are available, although the venue advises you eat before arrival. Information on upcoming events can be found via theasylumvenue.co.uk. The Asylum is just a few minutes from Snow Hill train station – walk along Constitution Hill before taking a right up Hampton Street. For cars, there is lit on street parking outside the venue or a car park directly opposite the main entrance.